The online gambling industry has been growing rapidly over the past 25 years or so thanks to companies such as Videoslots. They offer a huge variety of slot machines, table and other casino games, developed by the best software suppliers in the world. Regardless of how different modern games are from those made 20 years ago, there is one thing people will always be interested in — the jackpot. The fact that everyone has equal odds of winning one thrills hundreds of millions of gamblers all over the world. Some of the companies Videoslots has partnered up with include giants such as Big Time Gaming, Yggdrasil, Betsoft, Microgaming, and Thunderkick. By playing games developed by these companies, you can enter the Wheel of Jackpots program. Videoslots appreciates everyone who decides to devote time and resources to playing their games. And is there a better way to show gratitude to customers than to surprise them with even more jackpot rewards?! You have probably seen these three types of jackpots elsewhere already, but the adventure that leads to them is why everyone is so excited. In order to get an opportunity to win any of the three rewards, you need to obtain a spin reward first. Then, you use that reward to spin one of the nine wheels. Keep in mind that not all of the nine wheels guarantee a chance to win the jackpot. Earning experience points is a well-known way of establishing a connection with a casino. These points may appear in different forms, such as loyalty points or any other point-collecting feature. The more you play, the more XP you will obtain. 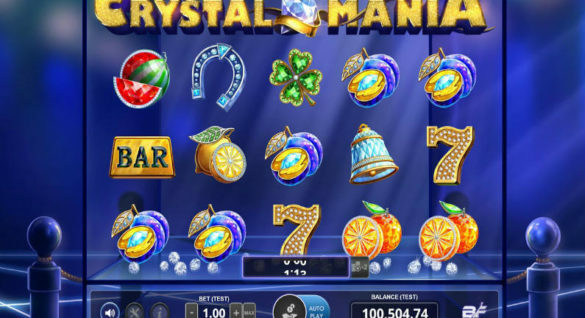 Although the process of collecting experience points is fairly simple and runs in the background as you play, you should be aware of the different levels, as they allow you to get to the jackpots. Videoslots awards XP trophies for every fifth XP level, except for the level 21 where you get the trophy right away (by reaching the 21st level). The idea is that the value of wheels increases as you collect more experience points. Visit the official website to get more information on each individual reel, trophy, and their rewards. To play the Blue Wheel, players need to find secret spin rewards. Those are hidden inside random trophies in the game. The Red Wheel is a bit harder to reach, as it becomes available only after collecting all the trophies in the game. Visit the Weekend Booster & Clashes, Spins & Wins, and Activity sections under the “My Achievements” tab on your profile to find the trophies hiding the Green Wheel rewards. Videoslots explains in detail how to get any of the 16 rewards on their website, so make sure to check the site out — that’s the most reliable way to get correct information. In case of any changes, they will be the first ones to announce them. So far, we have gone over all the rewards and talked about available games, but what about the process of earning XP? That does indeed happen in the background, but you can only benefit from knowing exactly how you are getting those points. The first thing you need to be aware of is that all video slots and other slot machines award XP, except for the games featuring progressive jackpots. The number of XP you’ll make for wagering one euro is determined by the RTP of the game you are playing. By playing a game which has the RTP of 96%, you’ll get 1 XP for every euro you bet. If the RTP drops down to 95%, the rate at which you get XP goes up by 25%. That means that you’ll get 1.25 XP for every wagered euro. On the other hand, only 0.75 XP is rewarded for games that have the RTP of 97%. We assume that you get the idea; so make sure to check the RTP for the game you’re playing, grab the calculator, and learn how much you can get for spending a certain amount of money while playing a game of your choice. To make that a bit easier, Videoslots explains that every 0.01% above 96% rewards 0.25% less experience points. Want more information about RTP? Read this! The Wheel of Jackpots is a limited promotion, which means that it’s not included in any of the RTPs. You cannot play the Wheel of Jackpots if you have active bonuses. All the rewards are paid in euros before they are exchanged for the currency selected by the user. Once you receive the reward, you’ll have to use it within 7 days before it expires. 1% of the total house edge for all slots and video slots goes towards the jackpot prize pool. Make sure to read not only the Terms & Conditions related to the promotion but also the general T&C. That way, you’ll have everything under control before you start playing with real cash. Videoslots Casino offers a selection of over 2,600 games from the very best developers in the industry. The Welcome Bonus offered by Videoslots Casino is really simple. 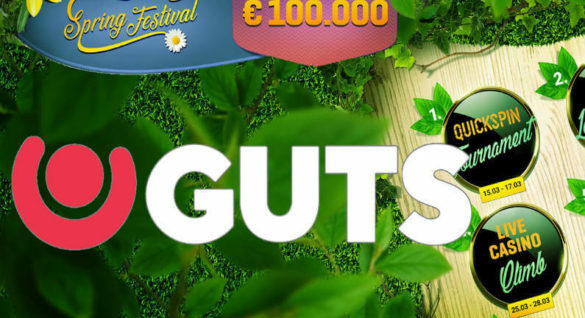 It gives you a 100% match on your first deposit up to €200, and also 11 welcome spins as part of that offer! We suggest you claim it and start playing today!